To be a chef, you must know how to do more than just cook or bake. You must also be familiar with the methods of running a kitchen and maintaining a safe environment for the employees and diners. Proficiency in culinary technical skills is what separates the hobbyist from the professional chef. In the culinary arts, you should know how to read recipes and perform at least basic cooking techniques. Basic techniques include measuring and weighing food, and converting a recipe into larger or smaller batches. Essential cooking techniques include braising, baking, roasting, grilling, poaching, pan roasting, stewing, sautéing and frying. You should also know how to prepare the “mise en place” for a recipe, which is the technique of preparing all the ingredients needed before you begin to cook. In addition to producing foods that taste good, some of the most important technical skills in the culinary arts involve sanitation, which prevents the growth of harmful molds, bacteria and food-borne illnesses. Sanitation methods include cleaning all work surfaces and equipment, properly washing hands and taking cautionary measures to reduce the risk of contaminating food. Preventative measures can include not wearing jewelry on hands and wrists or using a bandana to prevent hair from falling into food. Food safety includes refrigerating and heating foods to the proper temperature and taking steps to avoid cross-contamination, like sanitizing surfaces that contained raw meat. 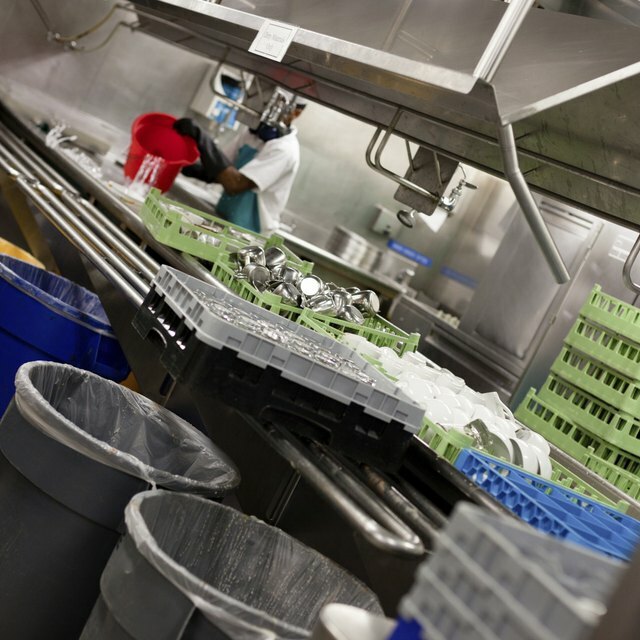 Employee safety includes thorough training in using dangerous kitchen tools and equipment, like deep fryers, lifting items properly and keeping floors clear of hazards. Kitchen equipment ranges from teaspoons to large meat slicers. While a chef may not need to know how to operate every type of kitchen gadget or machinery available, she must be proficient in the tools of her respective trade. Basic tools all chefs use include spoons, spatulas, tongs, bowls, whisks, knives, measuring devices and heating elements, like stoves and ovens. Knowing how to use kitchen equipment well helps produce quality foods and promotes the safety of those who use the devices. Many culinary environments employ the skills of more than one chef. While there may be one head chef, there may be other cooks and sous chefs assisting in the preparation of the food. This group of professionals must communicate well and have clearly defined roles to work well as a team. Without teamwork, the risk of making mistakes and not meeting deadlines is greater.